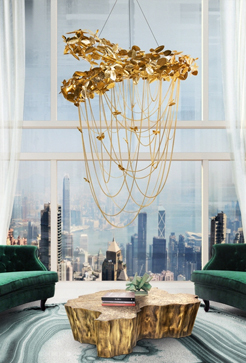 Meet DelightFULL’s Clark Suspension Lamp and fall in love. Let us introduce you to DelightFULL’ Clark Suspension Lamp, an elegant mid-century lamp that shines with its pure elegance and its gold-plated finishing. This unique piece is inspired by Clark Terry an incredible Jazz musician who was a pioneer with his Trumpet and Flugelhorn. Inspired by his music, DelightFULL created the Clark Suspension Lamp. An incredible piece that reflects every single part of his music. A Must-Have for every lover of Jazz music. Clark may have a sleek and rather simple appearance at the first look but the handcrafted details of the lamp with all the twisted arms of the Lamp make this unique piece very special and show once more the incredible talent of DelightFULL’s artisans. Creating an elegant lighting atmosphere with its several arms and light bulbs, Clark Suspension has everything that is necessary to turn any room into a highlight. The gold-plated finishing underlines the elegant look of the Clark Suspension Lamp. 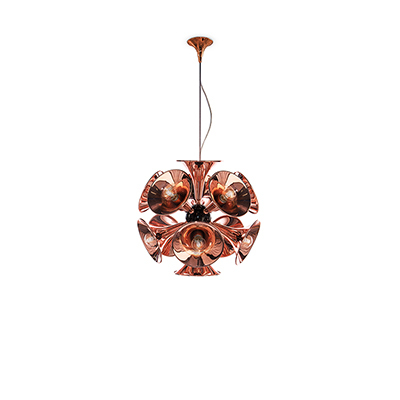 But just like every other piece from DelightFULL you can select another finishing like copper or nickel to turn Clark into your personal highlight. Find out all about DelightFull’s Mid-Century World and the best lighting stores with DelightFULL‘s Mid-Century World e-book! Visit us also on Pinterest and do not forget to come by every day, we will have the best lighting suggestions for you and your home! 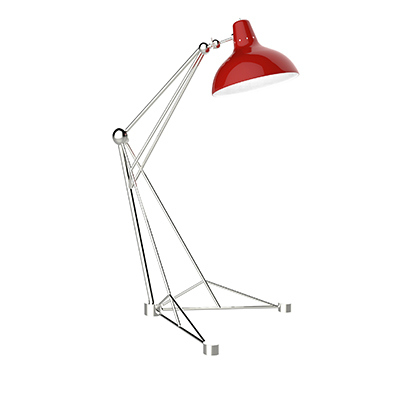 From DelightFULL with love!